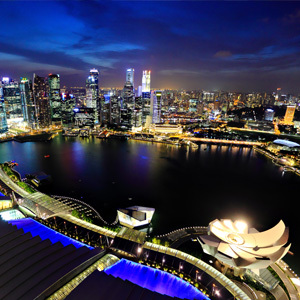 Singapore’s economy could grow by 3.7% in 2013, according to a Business Times-UniSIM Business Climate Survey. This is higher than the authorities’ 2.5 – 3.5% forecast and close to 3 times that of 2012’s 1.3% growth. 2014 also looks to be a bright year for the island-state’s economy, as regional competitors are displaced by Singapore in global rankings of the most ideal country to do business. The survey said Singapore is rebounding strongly from the past 2 years’ dismal performance and is expected to to have better prospects going forward, while competitor China’s economy is not growing as rapidly and causing uncertainty with its new leadership and policy changes. 21% of respondents surveyed said Singapore is the most promising market, while 19% chose Indonesia. 15% chose China. Economists told the Business Times that improving global economic conditions, especially recoveries in the US and European economies, as well as China’s continuing momentum will aid in the Singapore economy’s recovery. However, this is assuming that expansionary monetary policies are not tightened prematurely. Rikvin finds that while companies remain cautious about the economic outlook for the next six months, they are somewhat more optimistic than a quarter ago. Business activities have also increased across all industries in the third quarter of this year. Mr Satish Bakhda, Head of Operations, Rikvin, said the increase in business activity signals an imminent return to a growing economy. “We believe that Singapore will continue on its upward growth trend for the next quarter and well into next year as economic indicators are all pointing towards increasing growth, especially in the manufacturing and services sector. The Government may also increase its growth forecast for next year, although not sharply,” he said.